It’s that time again! This week, the Center for Michigan is beginning our next round of public discussions that we call Community Conversations, and we are coming to a community near you. 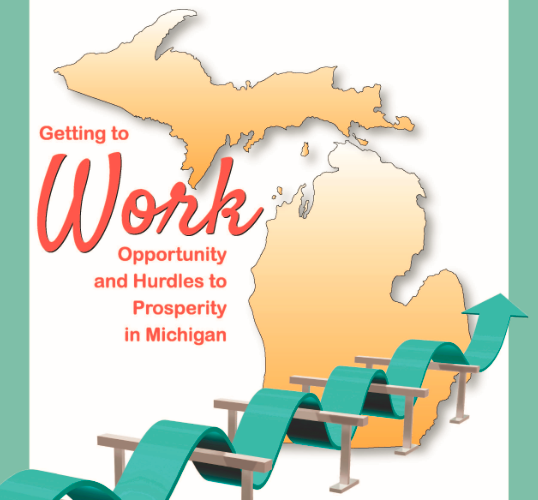 This Conversation campaign is titled “Getting to work: Opportunity and hurdles to prosperity in Michigan.” We believe this will be the largest public discussion to date about the Michigan workforce experience. Issues related to Michigan’s job market are deeply rooted in the lives of many residents, and this vast landscape is rapidly changing. Because of this topic’s importance, we have structured this conversation in a way that will allow us to collect the most meaningful data possible. This is why the Center is going to do something we’ve never done before; we’re dividing our conversation for focused audiences. We have structured the conversation into three separate parts, which we are calling modules. Each module covers a specific aspect of workforce development, which we will use to collect input Michigan residents directly impacted by the issues discussed. Our module subjects include career navigation, college value and affordability, and challenges to upward mobility. We need your help! We’re seeking hosts for these critically important discussions. As a host, you’d need only to choose which module you would like to discuss, the date, time, and location of the Conversation, and invite 20-50 people to attend. Center for Michigan staff will moderate your discussion and collect your ideas, priorities, and hopes and fears related to Michigan’s job market. The data shared in Conversations across the state will be shared with Michigan’s leaders. They will also become the basis for a second round of discussions in Fall 2015 that will focus on solutions to the top concerns and priorities identified in these Conversations. Interested in learning more about how to bring a Community Conversation to your town? Contact the Center for Michigan’s public engagement team at engage@thecenterformichigan.net or 734-926-4285. I strongly believe in the value of conversations, especially those that bring diverse perspectives to address an issue/problem. As much as I would like to see these conversations succeed and like to participate I am just not clear on Ms. DeLind and the Center hope to achieve with the conversations. Ms. DeLind mentions three topics (career navigation, college value and affordability, and challenges to upward mobility) without describing what the conversation would be expected to achieve or provide on those topics. I wonder what the purpose of the conversations is. I hope Ms. DeLind and the Center have considered including those who will not have the opportunity to participate in a local conversation by offering an online version, a place where people could share their perspectives. I believe Bridge provides an ideal platform for such a conversation. Hailey, I am afraid I am too far removed from the participants you are seeking. I do appreciate the description of the topics as it will help focus the participants. I would encourage you to define a few of your terms to avoid people making assumptions and risks talking pass each other though seeming to be discussing the same topic. As an example value in relation to college afforability, value can mean many things to each of us. It could be about financial return, this could influence how people look at afforability. It could be about work satifaction and flexibility. It could be about personal time, it is common for the profession to have different demands of time. It could be a combination of all three. The risk each of these creating a different perspective/value for each person thus creating a miscommunications. Similarly affordability could be about how to pay for the education, the justification or return on the cost, the methods of paying for the education. I would encourage you to give some guidance on what are 'good jobs'. Degreed jobs require a different path than certified/journeyman jobs, different from arts jobs, different from technicians jobs, etc. With each path being different the consideration for the means to gain the necessary foundations before entering the workforce. The way you describe the upward mobility could be about describing the 'work ethic' that employers expect. (see MLive article, March 2 2014, "Why won't they hire me? Kalamazoo area manufacturers provide 10 reasons") It seems that you could even break your conversation sessions into groups by the nature of the people would might benefit from each of your topic. As simple as degreed, skilled, and unskilled, because each will face slightly different challenges and opportunities in each of the topics you describe. I am still no clear on what the expected outcome you have for each topic. Are you hoping for specific ideas to be developed that could lead to programs/projects that might be developed into donor or volunteer support or grant application. (I think that is a real potential if some of the people involved in the conversations were to be interested.) Are you looking just for ideas? Would you like rough drafts of possible tools such as simple checklists? I would encourage you to have some tangible expectations, it will provided a focus, en energy, a degree of accomplishment for those who participate. You will most likely find that people are more likely to be committed when they can envision some tangible results. I would consider hosting, however, you can see the direction of my approach so I not sure that would fit what you are looking for. I am one of those that wants to understand the desired outcome (not the answers, but the form). With that the roles and responsibilities can be defined and people can better focus their energies. Thank you for the clarification, I do support what you are undertaking. I think it has real potential to create some innovative approaches to work, employment, and a better understand of how education fits in to people's lives. If you are successful I could envision your are creating a 'public think tank' called Michigan.